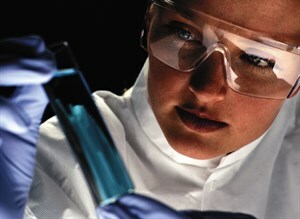 With EUR 2.54 billion in annual revenue and over 45,000 employees in around 800 sites across 47 countries, Eurofins Scientific is is the global leader in the pharmaceutical, food and environmental testing market and offers also a an unparalleled range of testing and support services for the chemical and agrochemical product sectors, to the consumer products industries and to governments. As one of the most innovative and quality-oriented international players in its own industry, Eurofins is ideally positioned to support its clients´ increasingly stringent quality and safety standards and the demands of regulatory authorities around the world. As a global service provider to the chemical and manufacturing industries the Eurofins Group´s REACH Task Force offers the full service portfolio to ensure its customers are REACH ready. Eurofins´s REACH Task Force was developed in response to the introduction of the REACH (Registration, Evaluation and Authorisation of Chemicals) legislation by the European Union in 2007. It comprises a network of state-of-the-art and progressive laboratories, operated by highly skilled scientists and regulatory specialists that have many years of relevant experience and qualifications, and which can be flexible in relation to client needs. Eurofins Product Testing Services are leading test houses in China for consumer products and industrial products performing SVHC testing and REACH consulting in Shenzhen, Shanghai and Hong Kong. The Eurofins Group is committed to providing its customers with high quality services, accurate results in time and, if requested, expert advice by its highly qualified staff.